Crypto.com Chain is a cryptocurrency with a price of $ 0.073078 and marketcap of $ 383,407,757. Crypto.com Chain's market price has increased 3.56% in the last 24 hours. 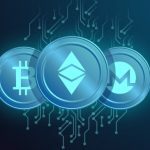 It ranks 25 amongst all cryptocurrencies with daily volume of $ 477,396.